our little girl. 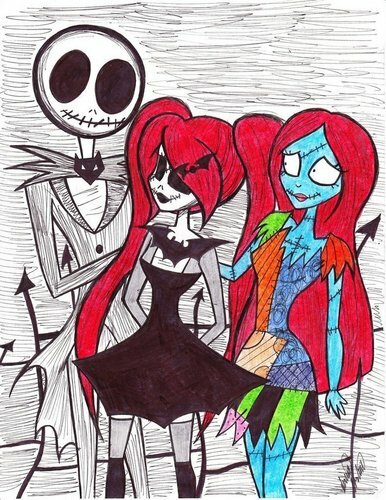 this is my version of jack and sally's daughter her name is lucy skellington and shes 17 years old i decided to post it here since it had jack and sally on it. HD Wallpaper and background images in the Bangungungot Bago ang Pasko club tagged: the nightmare before christmas. This Bangungungot Bago ang Pasko photo contains anime, comic book, manga, and cartoon. lucy is SO cute--nice picture!